Customer service is the way for businesses to gauge their clients’ loyalty to their company. We’ve stressed many times before that customer service should be at the core of every business, and should therefore be given careful attention. But there will always be something that tick customers off, and we know how a frustrated customer can potentially be the downfall of any business. Time is valuable for customers and they don’t like it when they are placed on hold for too long. They call the customer support expecting solutions right away and waiting on the line is such a pain. Having experienced how it’s like to be at the other end of the line, I understand that sometimes, there’s nothing we can do but to put them on hold especially during peak hours. To lessen the blow, we have to make sure to properly inform them how long they have to wait and what to expect. Best effort is to shorten your hold time, or if it would take longer than a minute, inform the customer why you need to place him on hold for longer than that. This way customers can have the liberty to decide if they want to wait, or have the option to call back later. It’s like talking to a robot when you are expecting a live person attending to your needs. Hearing canned responses for your problem ticks a person so easily because it doesn’t show sincerity at all. Having a spiel is normal and is actually good especially when handling irate customers and difficult issues but these scripts are guides, and CS reps should know to use the tone of their voice to show empathy to the customer. When customers have problems, they want to speak to a real person (and not a robot) and have a genuine conversation about their issues. Canned responses will only aggravate the matter. Talking to an automated system via IVR or interactive voice response can sometimes re-route customers to other departments. Customers expect that the first agent they speak to will be the person who will resolve their issues. Customers turn irate when they are told that another representative will handle the issue. Expect things to turn worse when you ask customers to repeat the issue after explaining it lengthily to a previous agent. To avoid this, before transferring to another agent, make sure that the previous one have made thorough notation of the customer’s reason for calling and immediately offer apology to customer for waiting and having to be transferred. When a customer needs immediate resolution to their issues, they wouldn’t want to go through a very lengthy phone menu. Listening to the automated voice prompt is very disappointing especially when you have to go through several menus before actually talking to a live person. As much as possible, shorten your phone menu and limit number pressing to a minimum. As much as possible, do not remove the option for callers to press “0” or “#” if they want to talk to an operator right away without having to go through the entire list. 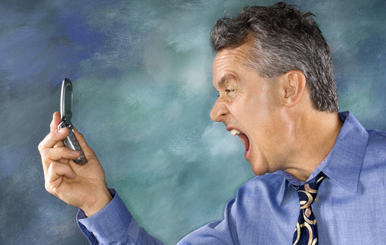 The shorter time your customer needs to endure your company’s IVR, the better. Customers expect prompt answers to their problems or inquiries at first try. They want their needs to be met soon after calling customer support. It will be quite an unpleasant experience for your customer if he needs to call again because your solution failed to fix the problem the first time. If the issue would take more follow ups until it is resolved, then inform the customer at the beginning and explain to him what will happen during the support process. We all know that customers hate bad customer service and they won’t tolerate receiving poor support from your contact center. Recognizing these factors can help alleviate the annoyance of your customers and by addressing each one can help provide a more satisfying customer experience. Anything else you can add to this list? Feel free to share your thoughts in the comments section. The extended phone menu is the worst, having to spend 15 minutes listening to an automated menu only to end up in a queue! Any company than can massively minimize all these in their customer support will do well! I’d add “sounding like a robot”. Sometimes saying “sorry, we screwed up” is much better than enterprisey phrases like “We apologize sorry for the inconvenience caused”. It doesn’t matter if you are a small company without a true customer support department or a large company with a large call center, at some point a customer is going to call for help or support. When they do, is it an opportunity to show how good you are? Or, a disappointment and confidence-buster for the customer? I know what I want: No or short wait times, knowledgeable reps that help me on the first call, someone that treats me like me and not a number and someone that focuses on reasonable solutions and not policies.